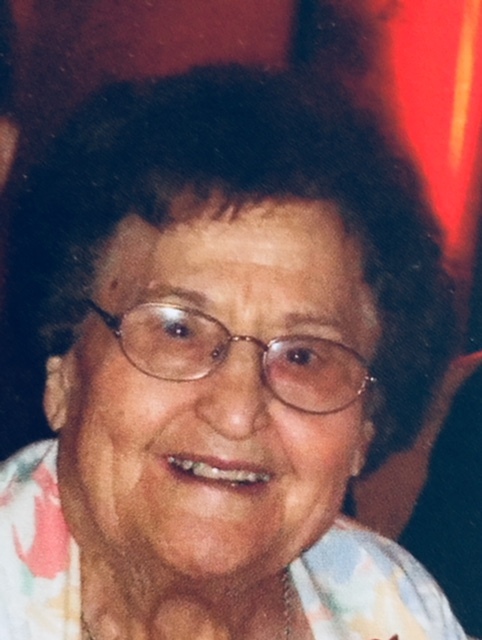 Genevieve Donofrio DiLella, 99, formally of Frances Street and Westminster Manor, died Saturday, Dec. 30 at the Finger Lakes Center for Living. A native of Auburn, she was primarily a homemaker. She was employed by Dunn and McCarthy Shoe Company once her children grew older. She enjoyed reading, crocheting, and loved watching old movies on the TCM channel. She was an excellent cook. Genevieve's family meant everything to her and she cherished the time spent with them. She is survived by her five children, Mary Dornbush of Altamont, Dan DiLella of Maryland, Luke DiLella (Rosemary) of Florida, Anne Holloway of Syracuse and Lucinda Secaur (Al) of Auburn; one sister, Lucy Izzo; 7 grandchildren; 11 great grandchildren; and several nieces and nephews. In addition to her parents Peter and Philomena (Pacelli) Donofrio, her brother and four sisters, she was predeceased by her loving husband, Donald (Dan), and daughter, Rosemary. Friends are invited to join the family for a mass of Christian Burial to be offered 10:00 a.m., Thursday, Jan. 4, 2018 at St. Alphonsus Church. Entombment will follow in St. Joseph Cemetery Mausoleum. Calling hours will be held Wednesday from 4 to 7 p.m. in the Cheche Funeral Home Inc., 1778 Clark St. Road, Auburn. Contributions may be made in memory of Genevieve to the National Association for Down Syndrome at www.nads.org.